Last fall I had the pleasure of visiting Lodi, California for the first time. The trip was an eye opening exploration of the over 125 varieties of wine grapes grown in Lodi, the multi-generational family farms, the ground breaking wineries producing varieties beyond Zinfandel, and sustainable vineyards. I went home thirsty for more! When an invitation to return arrived, my answer was an enthusiastic, “YES!! !” Sponsored by the Visit Lodi! 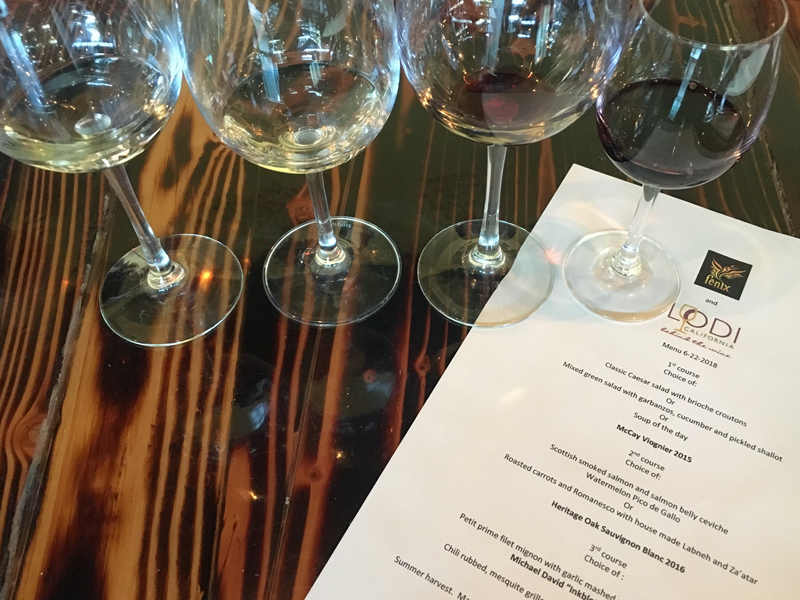 Conference and Visitors Bureau, my latest trip offered an even broader perspective of Lodi wine and food. Here is an itinerary perfectly suited for a weekend getaway. Join us for wine tasting at Weibel’s darling, we saved you a seat! Popular with the locals, Weibel’s is a fun spot in charming Downtown Lodi to unwind before dinner. 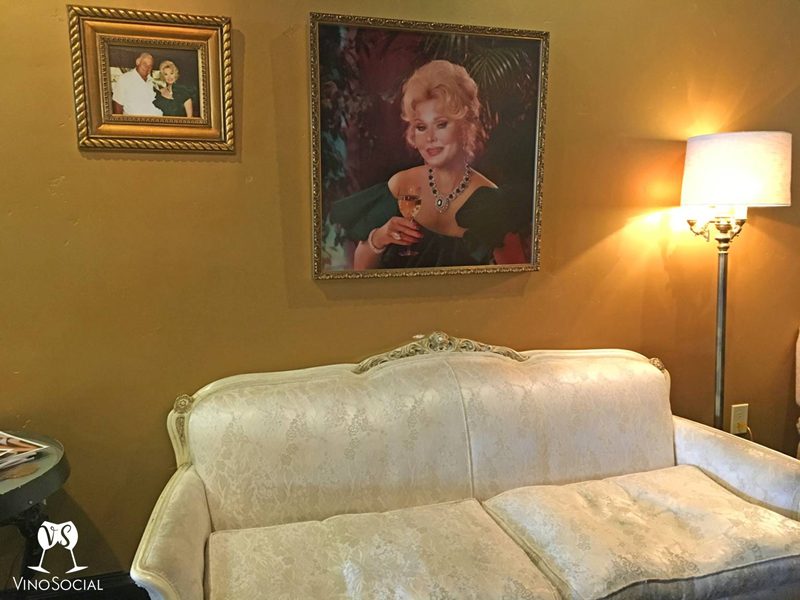 Zsa Zsa Gabor was a fan (yes, they’ve been making wine for that long!). The family even struck a deal to have her do some promotion for them back in the day. It’s worth visiting here just to see the resulting print ads for their wine adorning the walls! This comfortable tasting room offering affordable sparkling wines served in vintage Champagne coups, still wines, and frosé. 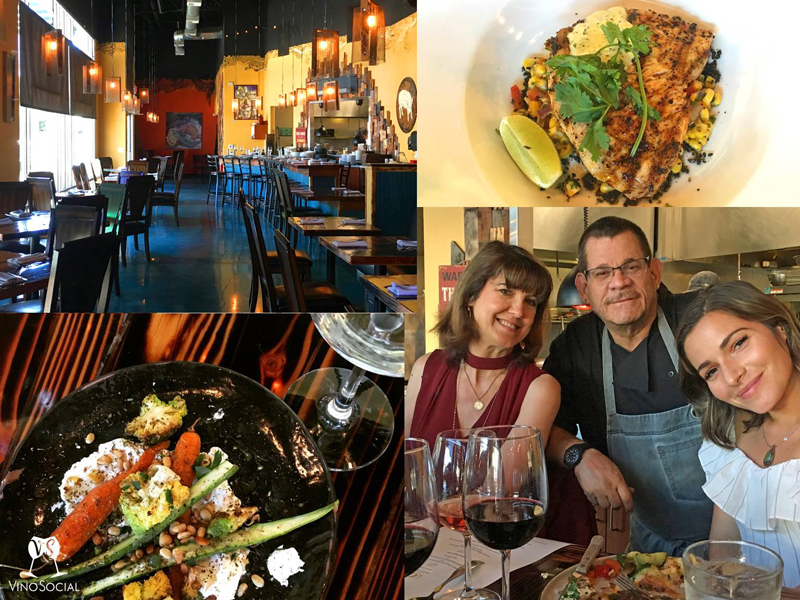 Stroll down the street to Fenix for dinner where the philosophy is fresh, local, and seasonal in a friendly, casual atmosphere. Talented chef Richard Hyman says don’t call it farm to fork. He believes that should be a given for any small chef driven restaurant. Sit at the counter to enjoy a peek-a-boo view of the kitchen at work. The flavors here pop and the creativity of the chef shines through. Roasted carrots are seasoned with exotic za’atar. Cooked to perfection mesquite grilled swordfish is accompanied by zippy house made jalapeno aioli. Plus, the wine list includes a fantastic selection of wines by the glass or bottle, heavy on the local options. 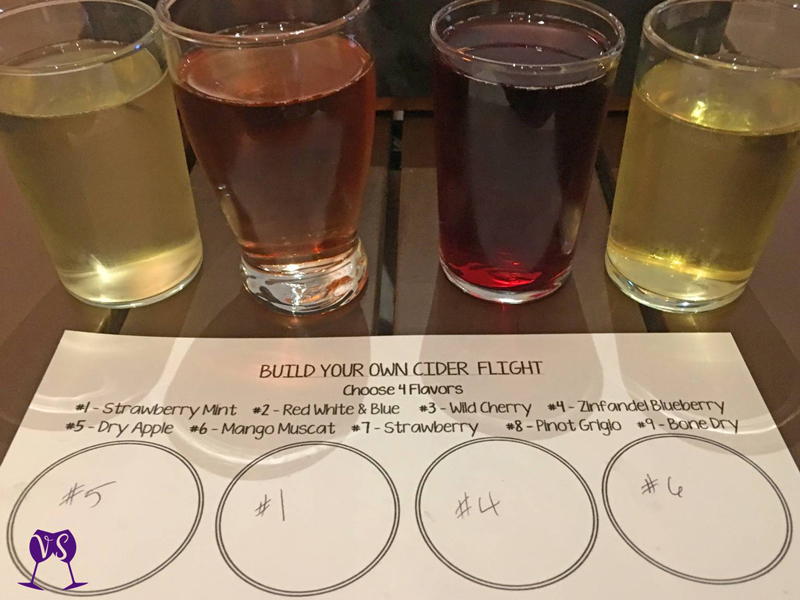 Create your own cider flight at Scotto’s, a 5th-generation family owned and managed wine and cider company. Enjoy live music from a local artist on Friday nights. Ciders range from traditional dry apple cider to a surprising marriage of wine and cider. Explore the unexpected – Zinfandel Blueberry Cider anyone? A visit to Calivirgin is a must when exploring Lodi wine and food. It all began as a side project in 2007 with the intent to sell olive oil at the farmers market. Since then it has branched out into a full time family business. 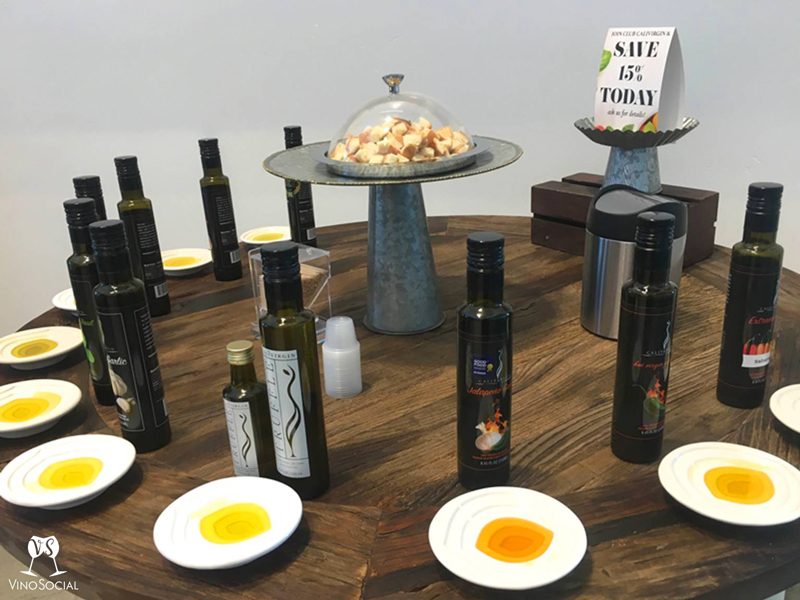 Located among olive groves, the tasting room offers samples of a vast range of award winning, organically grown oils and vinegars. Note that the flavored olive oils are crafted by crushing the herbs or fresh fruits with the olives for true flavor, not by adding extracts. The result is a high quality product. If I was a local I’d definitely take advantage of their deal on refillable olive oils! Since I’m not, I’ll have to drop some serious hints to friends and family about how much I’d love a gift membership in their olive oil club (hint, hint!). Oh, and the white truffle oil makes my heart skip a beat. Roam through the patio garden on your way to Pietro’s entrance for a hint of the fresh ingredients inspiring the food. If you like calamari, be sure to order it here. Also, don’t miss out on the barabietola salad that includes beets and features burrata. This restaurant is wildly popular with the locals and was packed during our Saturday afternoon visit. Be sure make advance reservations. 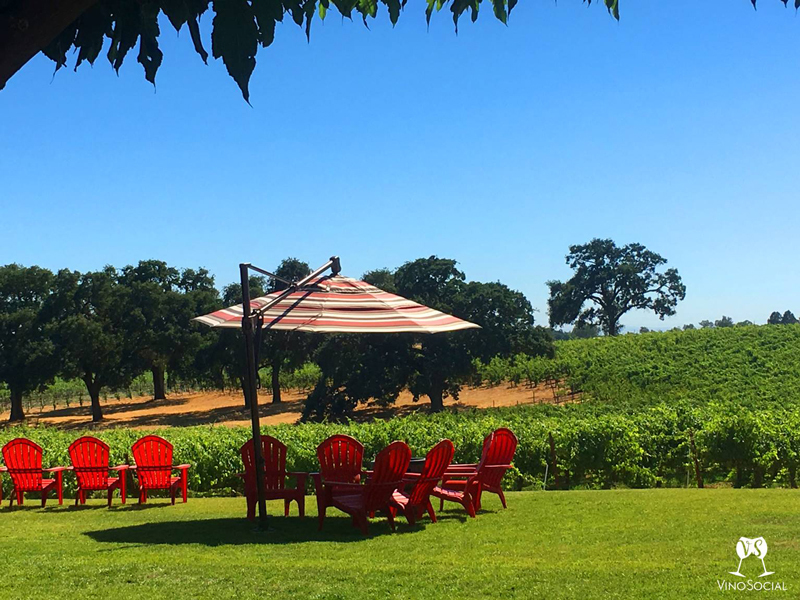 A Lodi wine and food tour is best enjoyed with a driver and tour guide from The Sip Shuttle. Even if you’re traveling solo, you can sign up for a “join in” tour and visit vineyards and tasting rooms with other wine lovers. Either start at the designated pick up location downtown or pay to be picked up at a location of your choice. Swing by Cheese Central to buy some snacks to enjoy on the wine tour before meeting the shuttle. “We try to get cheese in everyone’s mouth seven days a week,” says Cindy Della Monica owner of Cheese Central in downtown Lodi. Everything in the store is available to sample to ensure guests get something they love rather than a surprise. 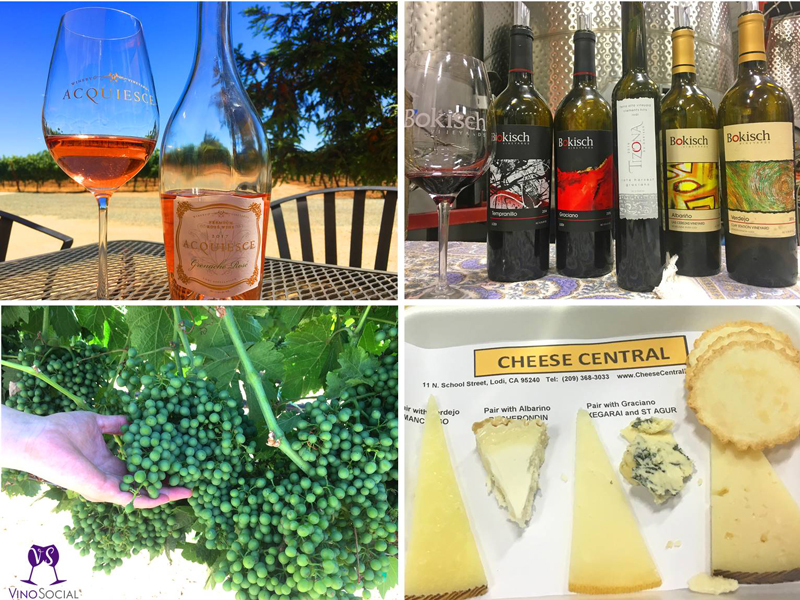 When pairing wine and cheese Cindy says, “The lesson isn’t how well it matches, it’s how well it doesn’t match.” So be brave and experiment while on your Lodi wine and food exploration! 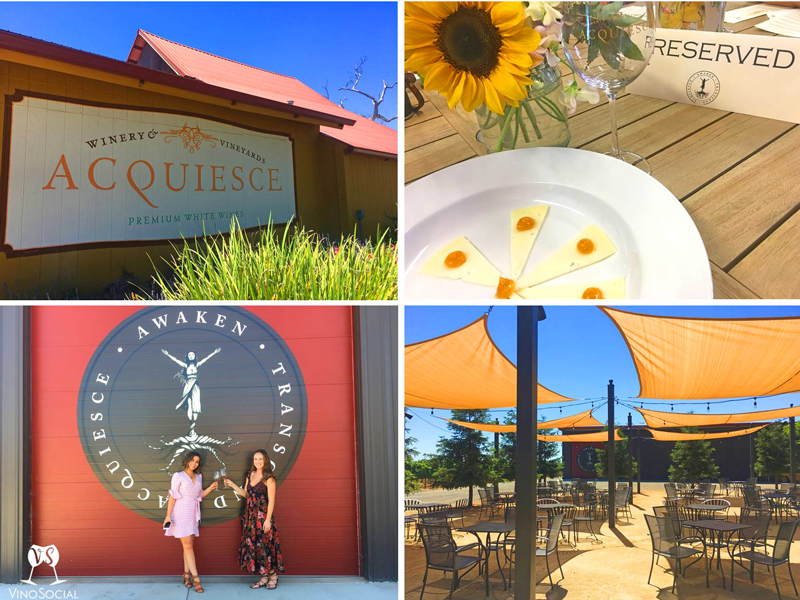 Sue Tipton’s Acquiesce Winery dedicated to Rhône Style white wines is legendary among wine lovers on social media. As the first winery in the United States to release Bourbolenc, it’s no wonder this is a wine geek’s paradise. Not only does Sue work with obscure varieties, a lot of labor goes into the winemaking here and it is reflected in the quality of the wine. The grapes are all hand-picked and hand sorted. The rosé is whole cluster pressed, not saignée (a byproduct of red wine making). Even the curvaceous bottles have been thoughtfully selected and imported from France. Our wine tasting was accompanied by a fun pairing of unexpected flavor sensations. The Clairette Blanche complemented a Provencal Mustard, Fennel, and Curry Spread showing how wine and food can truly bring out the best in each other. Starting in 1999 Liz and Markus Bokisch of Bokisch Vineyards imported budwood from Spain and planted vineyards to Iberian varieties including Tempranillo, Albariño, Graciano, Garnacha, Garnacha Blanca, Monastrell, Verdejo and Verdelho. These grapes feel right at home in Lodi’s Mediterranean-like climate. Pull up an Adirondack chair and enjoy the fiesta in your mouth as you taste through a delectable lineup of Bokisch wines from their picturesque estate. I purchased a bottle of the Bokisch Vineyards Graciano to take home and revisit the experience. No Lodi wine and food tour wood be complete without a meal at this charming restaurant. 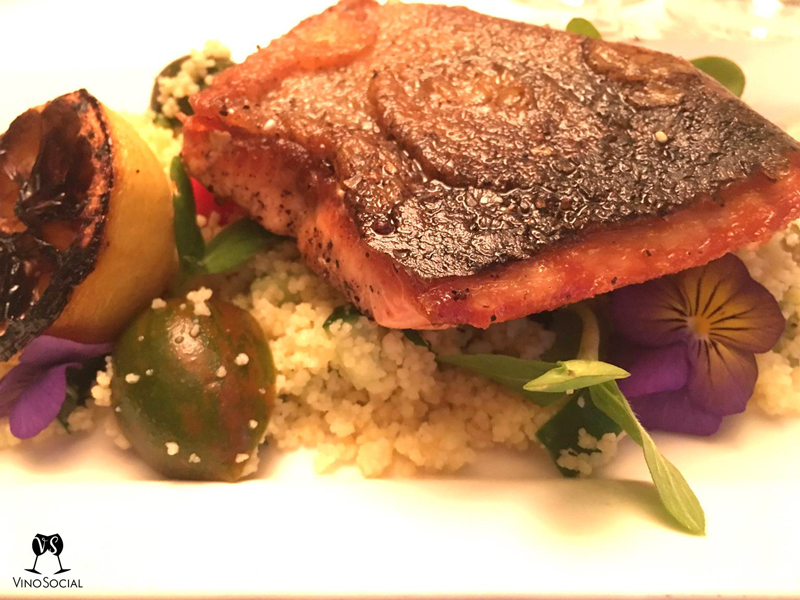 Towne House is sure to delight those seeking a gourmet experience and impeccable service. 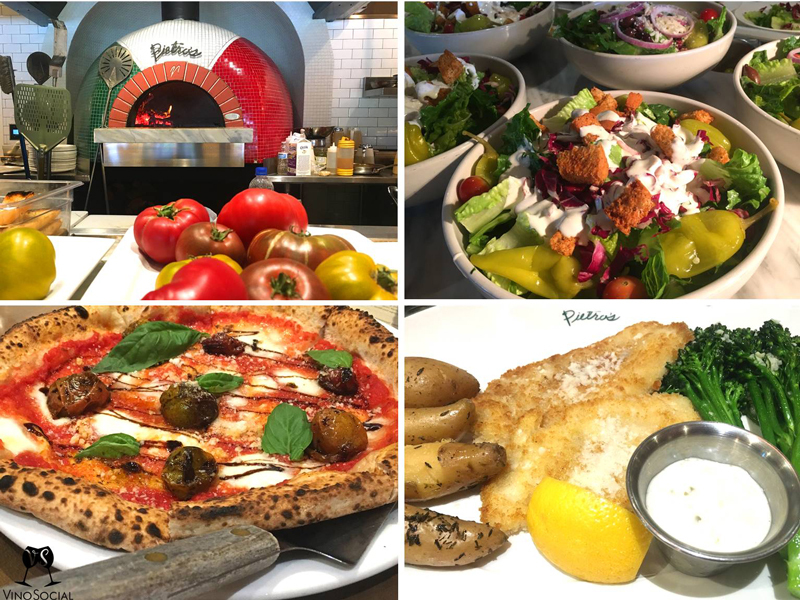 Headed up by James Beard Award winning Chef Bradley Ogden, the menu features high quality seasonal and local ingredients, beautifully presented. From delectable Pickled Shrimp Vichyssoise to the I-can’t-believe-I’m-eating-all-this-even-though-I’m stuffed Flourless Chocolate Bomb and everything in between, the food is to die for! Please, may I have some more? 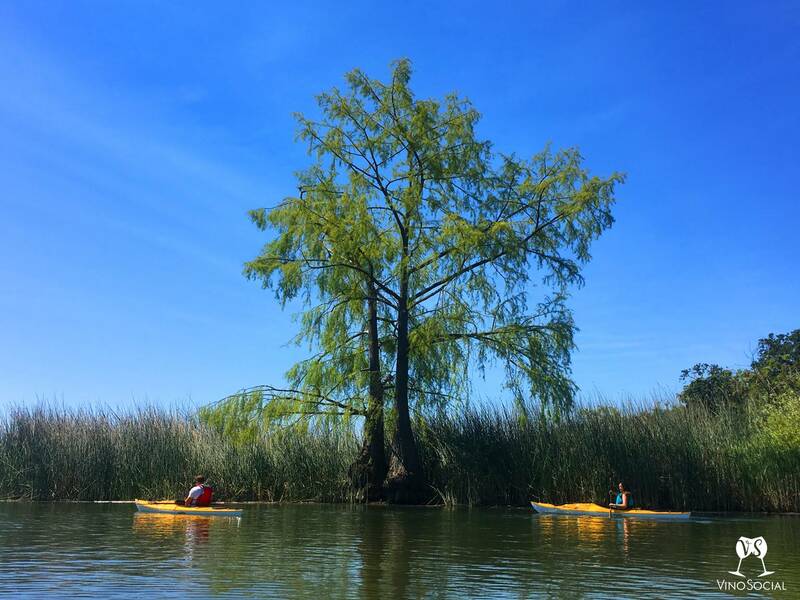 To truly appreciate the beauty of Lodi, spend the morning kayaking along picturesque and tranquil Lodi Lake and Mokelumne River when there is a soft breeze on the water. Tours are offered and kayaks, canoes, and stand-up paddleboards are available to rent on an hourly and half-day basis from the Headwaters Kayak Shop and Boathouse. This is a great way to burn off those calories from all the great Lodi wine and food! With so many fantastic discoveries to eat, drink, and explore it’s no wonder why Lodi was selected by Wine Enthusiast Magazine as its 2015 Wine Region of the Year. I certainly had a fantastic time, and look forward to visiting again. Are you ready to pack your bags? Plan Your Visit to Lodi.